If you liked this show, you should follow WQYB Radio Network. 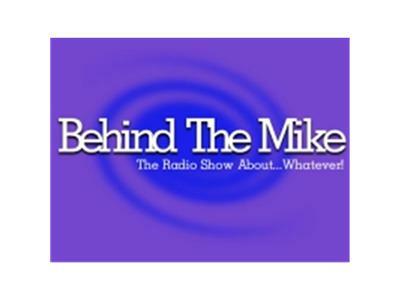 Join host Joel Michalec and the staff of The Behind The Mike Show and find out why it certainly is the radio show about... whatever! Each show is filled with news, issues, commentary and awesome guest interviews. Comments are always welcomed on the TOLL FREE Reality Radio Hotline and you can interact with the guests and hosts. HOUR ONE - Tonight we will interview Elizabeth Egan-Cox. Elizabeth has written many corporate histories for large companies and has a vast background as an author. In the last few years, Elizabeth has found a calling as a popular guest on Paranormal Talk Radio shows, speaking on topics of interest such as: Are Your Ancestors Your Ghosts and How to Identify a Ghost. She uses her expertise in genealogy and library science to share insight on how to use free Internet sites as resources for ghost hunting investigations. You can call in with your questions for her as well. HOUR TWO - Join us as we talk to the fastest talking auctioneer this side of entertainment; welcome to the show Dan Dotson. Dan is the auctioneer on the A&E hit show, Storage Wars. We will find out how this new season is looking and how he got hooked up with A&E to begin with. This and more coming your way on Behind The Mike! Be sure to send us your thoughts and comments via the Reality One Radio TOLL FREE Hotline!